Today's advanced datacenters use infrastructure virtualization to deliver flexibility, scalability, reduced TCO and more. Yet without multi-tenant ADCs that provide complete traffic isolation per tenant, your datacenter will fall short. 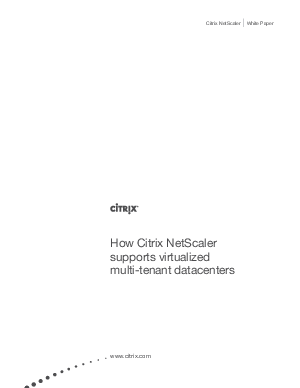 Download this free Citrix white paper today to learn how to take your datacenter to the next level of agility.